Let's be honest. No one will ever turn down a little extra help with their cast. Luckily, the Scientific Anglers Frequency Boost, built a half-size heavy, provides just that. This general purpose line loads quickly, turns over large dries, nymph rigs, and streamers with ease, and features a mid-length head perfect for nearly all freshwater applications. Let&apos;s be honest. No one will ever turn down a little extra help with their cast. 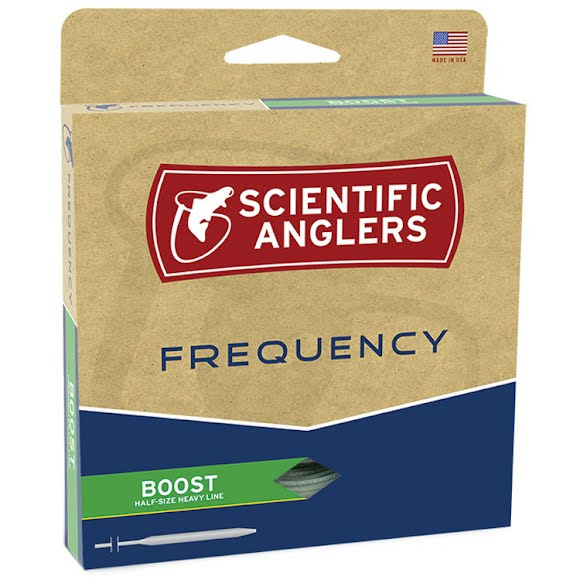 Luckily, the Scientific Anglers Frequency Boost, built a half-size heavy, provides just that. This general purpose line loads quickly, turns over large dries, nymph rigs, and streamers with ease, and features a mid-length head perfect for nearly all freshwater applications.